Ribble Pro Cycling are delighted to announce Secret Training as their nutrition partner for 2019. Continuing their successful partnership from 2018, the team are extremely happy to continue working with the best nutrition on the market. Secret Training is the brainchild of European Champion Track Cyclist, Tim Lawson. An elite masters athlete, with over twenty years’ experience in developing the best sports nutrition products, working with athletes from beginners, right up to Olympic medalists and Pro Tour winners. “Coming from the North West of England where there’s more rainfall than anywhere else in the UK, training in the most extreme of conditions, whether it’s the cross winds of Winter Hill or further afield in the blistering heat of Mount Teide, I needed a range of quality, trustworthy and dependable products, that worked wherever and whenever.” Obsessive and accident prone by his own admission, Tim’s had more than his fair share of spectacular spills which have kept him requiring regular sports therapy to keep him on his trusty steed. Produced with a clear purpose to look after your personal care and nutrition, drilled down to the fundamental need of each of these products and using appropriate technology to provide effective race day solutions, prioritising the health and performance of the athlete. Developed and tested with high speed track cyclists, in the mud of the world cup cyclo-cross circuit and on endurance rides, Secret Training was born. Ribble Pro Cycling will be utilising the full Secret Training product range. Walker Brothers of Newcastle-upon-Tyne are to partner Ribble Pro Cycling during time trial competition in 2018. Walker Brothers are a specialist UK based manufacturer led by Brian Walker who was on of the country’s top time trialist in the 1990’s. Brian was renowned for his innovative creations and accessories that have pushed the boundaries and gained the edge. Walker Brothers wheels are hand made in Brian’s purpose built workshop, his products are innovative and continually evolving. Gruffudd Lewis completes the Ribble Pro Cycling 2018 Team. Ribble Pro Cycling are delighted to announce the final rider to complete the 14-man roster for the 2018 season, Gruffudd Lewis. 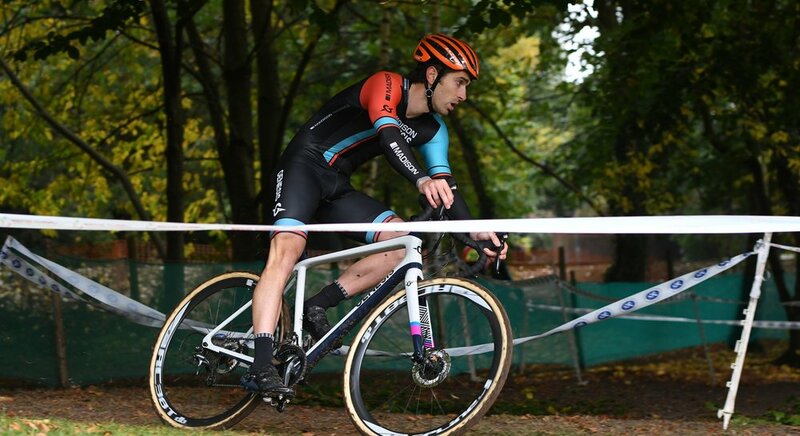 Gruff is a very experienced rider and has previously ridden for established UK teams; UK Youth, Pedal Heaven and most recently Madison Genesis. Gruff is at home on the road, criteriums or on the cyclocross bike and yesterday was crowned Welsh National Cyclocross champion. Gruff will bring his wealth of experience to the team and he sets some lofty ambitions on the road in 2018. Gruff Lewis: “Matt Cronshaw called me and expressed interest in me joining Ribble Pro Cycling for 2018. The ethos of the team aligns closely with my own personal goals and the prospect of working again with Matt, a highly experienced race tactician instantly appealed to me. I've seen how the team is able to perform on the biggest domestic stages as well as internationally so I knew there would be space for me to continue my ambitions while helping represent Ribble. It's a really exciting project and I can't wait to get stuck in, start racing and help the team grow! Ribble Pro Cycling continue to put their final preparations together ahead of next season ahead of a successful 2017 campaign that included eight national titles and over one hundred race victories. Make sure to follow us on social media to be kept up to date with our continued success! Ribble Pro Cycling are delighted to announce Secret Training as their nutrition partner for 2018. Ribble Pro Cycling will be utilising the full Secret Training product range through 2017. Ribble Pro Cycling are delighted to announce the appointment of Matt Cronshaw as team manager. Matt joins following a successful eight-year career as a rider for UCI teams including most recently Madison Genesis, but also IG Sigma Sport, Raleigh GAC and JLT Condor. Ribble Pro Cycling have continued to develop year on year and built a sustainable platform for success and progression. Cronshaw will work in conjunction with existing team staff John and Dean Reeve. Ribble Pro Cycling continue to put their final preparations together ahead of next season ahead of a successful 2017 campaign that included eight national titles and over one hundred race victories.